Aurora HQ are pleased to announce that we are the ‘Presenting Partners’ for the University of Queensland Rugby Football Club 18th Annual Pre-Test Luncheon. This event is being held at the Brisbane Convention and Exhibition Centre on Friday 8 June 2018 in the lead up to the first Test between the Wallabies and Ireland at Suncorp Stadium. Over the past 18 years, University Rugby Club has held their function before to the Brisbane Test Match and it has become the premier event of this type. This year they have a stellar lineup, led by MC Greg Martin and including both Michael Cheika and Joe Schmidt who are the coaches of the Wallabies and Ireland respectively. Former Wallaby David Nucifora will also be there, as well as comedian Lawrence Mooney. 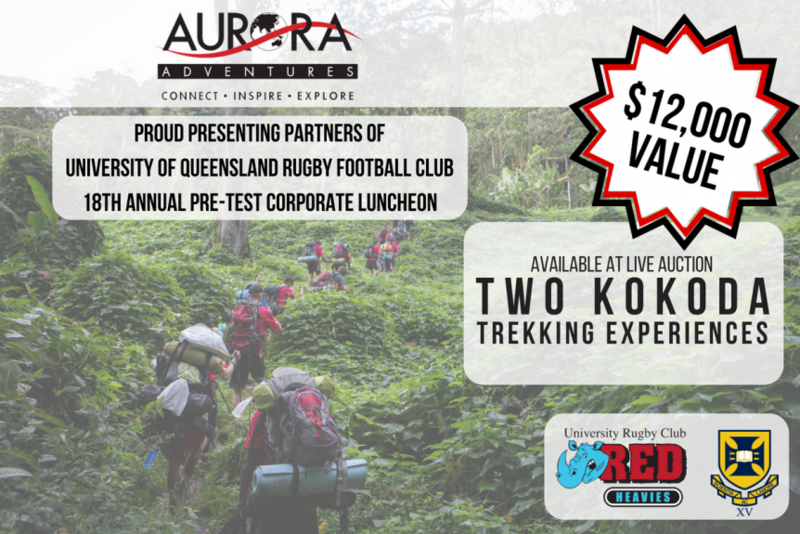 We are also excited to announce that 2 Aurora Kokoda Trek spots are being auctioned on the day to support their club!